Nineteen authors from six countries provide a collection of unique stories, each responding to the theme of home. For some, home is a spiritual or emotional space, even an imagined one. For some it is a physical place – a crumbling building, the ocean, a bedroom or a neighbour’s house. Many of the stories also relate to homelessness in one way or another – perhaps in part in response to the publisher’s charity of that year, Emmaus Cambridge. 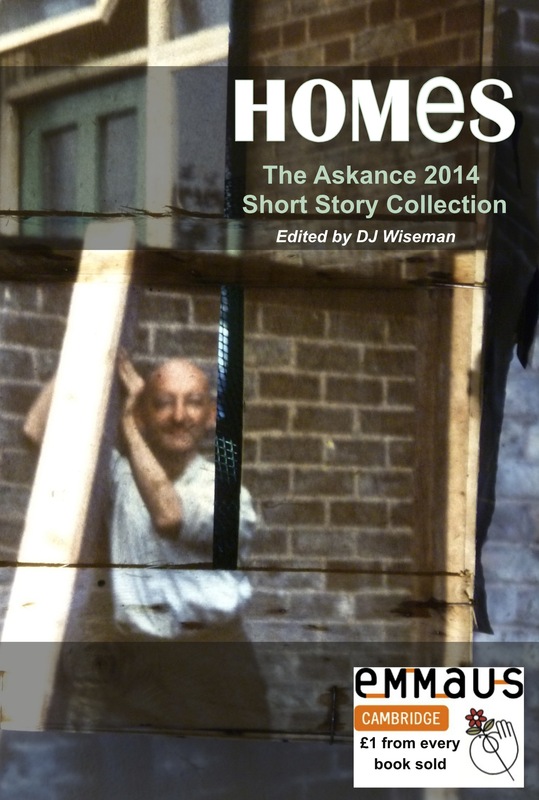 Included are all the selected finalists from the 2013 Askance short story competition. PRICE: UK £10.00 (+£3.50 UK p&p) Buy now – click here for UK orders Outside the UK £10.00 (+£8.50 airmail p&p) Buy now -click here for non-UK orders.